An evolution of daily skin moisturizers with built-in broad spectrum UVA/UVB sun protection. Medical studies confirm that sun, pollution, stress and smoke are the leading causes of skin cancer and accelerated aging. Protect your skin daily with an IMAGE daily skin moisturizer formulated for your skin type. Protect your brows with this great product for longer lasting color! We love the light and creamy texture of this sunscreen. We personally use Prevention+ on our eyebrows, face and neck daily. It’s even great on oily skin! We appreciate the dual use of this as a moisturizer and sunscreen because both are needed to encourage the skin to stay healthy and youthful. We also love that it is unscented so you won’t walk around smelling like you just returned from the beach! Available in both trial size and 3 oz. Enhance your permanent makeup lip color with this amazing product! 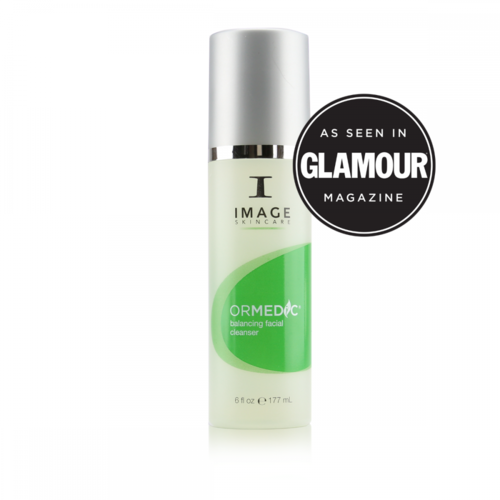 We love the way this cleanser soothes healing skin. Used as directed by your artist, it will keep your skin clean and eliminate any build up of after care products. Check out our quick and easy online free consultation!